The singing competition series pulled in 11.2 million viewers over two hours, and it also nabbed a 2.8 rating in the advertiser-coveted adults 18-49 demographic. “Supergirl” did see a significant boost with its crossover episode, however. The DC Comics show scored 7.2 million viewers, up 21 percent from last week. The show also had a 1.7 rating, up 31 percent from last week. NBC came in first for the night with 9.5 million viewers and a 2.4 rating, according to preliminary numbers. 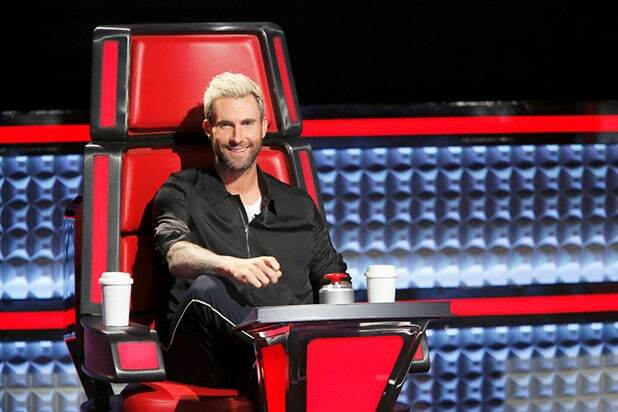 A two-hour episode of “The Voice” aired at 8 p.m. ET. “Blindspot” followed at 10, scoring 6.1 million viewers and a 1.6 rating. CBS came in third in total viewers with 8.2 million and second in the key demo with a 1.5 rating. “Supergirl” aired at 8 p.m. ET. “Scorpion” aired at 9, nabbing 8.6 million viewers and a 1.6 rating. “NCIS: Los Angeles” followed at 10, pulling in 8.7 million viewers and a 1.2 rating. Fox finished fourth in total viewers with 3.8 million and tied for third in the demo with a 1.3 rating. “Gotham” got 3.7 million viewers and a 1.3 rating at 8 p.m. ET. “Lucifer” managed 3.8 million viewers and a 1.2 rating at 9. Univision finished fifth in total viewers with 1.8 million and tied for fourth in the demo with 0.7 rating. Telemundo finished sixth in total viewers with 1.7 million and tied for fourth in the demo with a 0.7 rating. The CW came in seventh with 924,000 viewers and a 0.4 rating. “Crazy Ex-Girlfriend” got 921,000 viewers at 8 p.m. ET, along with a 0.3 rating. “Jane the Virgin” followed at 9 with 928,000 viewers and a 0.4 rating.